Kuch Meetha Chahiye? To phir Donuts try karo na. Well this was Mad Over Donuts advertising statergy to promote their product last year during Diwali celebrations. Yes the donut fever has caught attention in India also. Why have I quoted Wikipedia is because way back in 2000 I wasn't aware of it's existence even, so I was not too much familiar with the way how donuts are prepared as in India it’s only in recent times that this snack has caught the imagination of metropolitan cities of India. Thanks to many Hollywood movies viewed in cable channels, where donuts with coffee is a regular feature, the trend to hang out in donut joints is catching up fast. One of the largest and well established gourmet donut producing Singapore based company in India is Mad About Donuts ( MOD) which has created a niche for itself in the F&B segment being the first concept of its kind to enter India. It’s vibrant & youthful customer friendly experience has found a strong connect with its target audience and the brand has evolved into a lifestyle choice for many, especially since they cater eggless gourmet donut is a blessing for vegetarians. 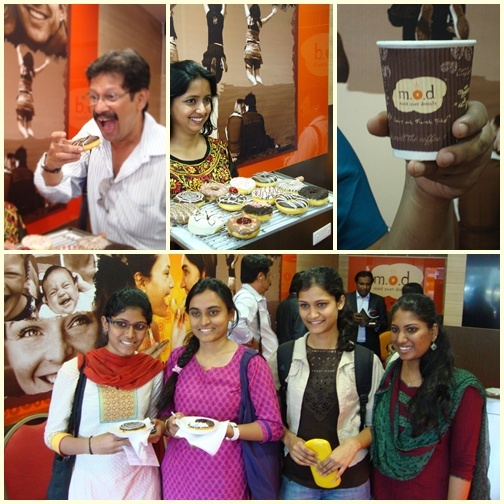 Mr Tarak Bhattacharya, Chief Operating Officer, Mad Over Donuts, during the opening of their Phoenix Market City, Bangalore, said in the release that the strategy was to focus on the ‘Love at First Bite!’ experience, which also includes the fun experience that one gets whenever the customer walked into a Mad Over Donuts’ store. 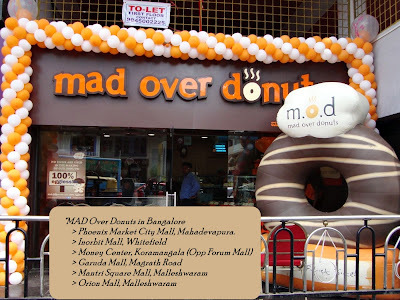 Mad Over Donuts caters to guests with an array of scrumptious Donuts and freshly brewed Coffees. The company already has more than 46 stores all over India in a span of 5 years, with expansion plans of more than double store count by the end of 2013. I too have recently visited this joint at Koramangala branch, Bangalore where the energy was vibrant and it’s always was buzzing with activities. Not to mention that the taste of the donuts were awesome. 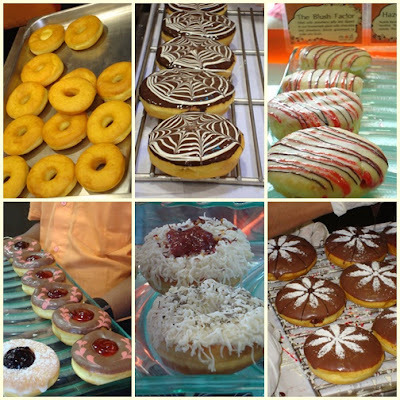 Their selling figures are astonishing, they sell 21,000 donuts across India per day and in Bangalore Koramangla fetches the highest number of customers and sell around 800 donuts per day ! Mr. Tarak told us that in each outlet there are 6 chefs who work round the clock and the main supply comes twice a day. First batch in the morning and the second in the evening. Depending upon the sale of first half of the day next batch comes. Since the shell life is less so each outlet tries to deliver only fresh items on the counter. 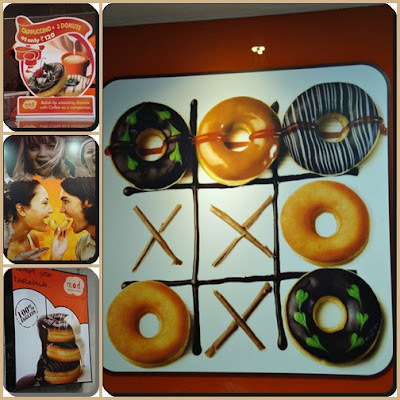 Enclosing some of the pics showing the place and the vibrant donuts being served to us. Apparently they are celebrating 5 Years in India and they are giving some attractive offers to their customers. 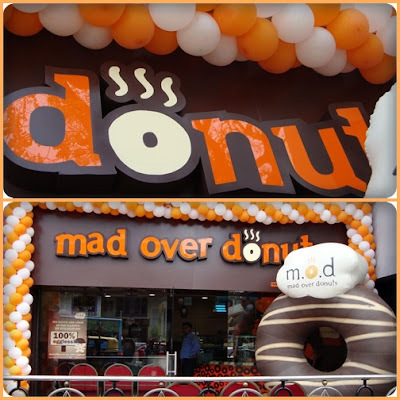 As part of the celebrations, Mad Over Donuts has a line-up of exciting Anniversary Special Deals and activities in-store for its guests. 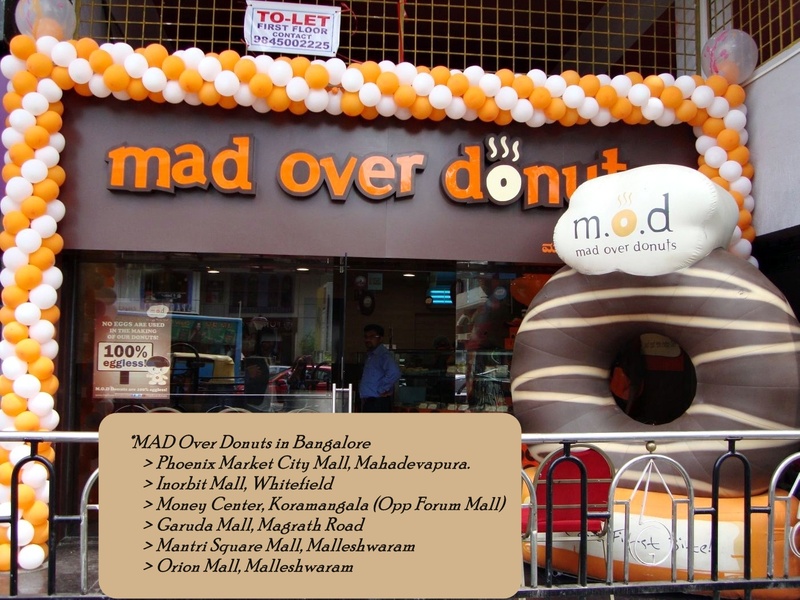 This week-long celebration across Mad Over Donuts stores is from the 20th to the 26th of March 2013. So don't miss the opportunity to enjoy your favorite flavour of donuts. rhey have few savoury donuts too like Mama Mia to pamper your taste buds. Now you can go Mad over Donuts ! DISCLAIMER: This is not a paid review. 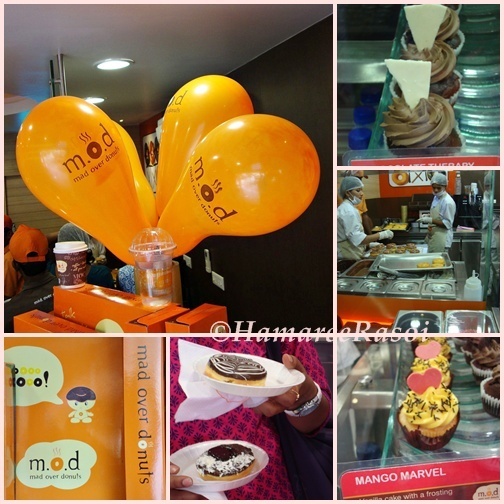 I visited Mad Over Donuts Koramangala store and tasted the above mentioned items I reviewed in this post. Wow! Lovely post! I love donuts! Wow, what a lovely review. Since morning I have been seeing donuts on FB and reading various reviews. Excellent review!!! Drooling over the donut pics!!! Fantabulous review. Liked the collage you have made with pics. I also visited MOD last month in Pune. Only thing which I found missing was creamy filled donuts. Pefect and non biased review...one moer feather in your cap. Nice one dear, good to know that donuts are rocking India as well, but I wish Indians do not turn obese!!!! Great post! Thanks for the update.. 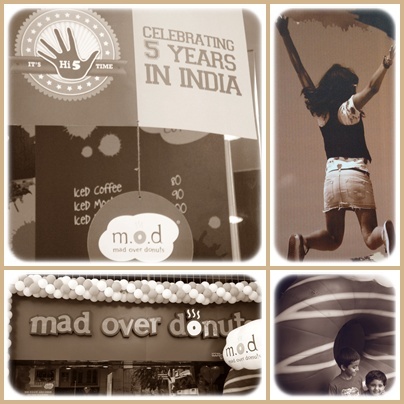 I had no clue about Donuts being in India... Great pictures and loved reading your post! Hey I have not heard about them while in Bangalore, looks like they have really created some amazing donuts. Seems you guys had loads of fun plus bag full of donuts ! well written review Deepa !